Love is the most powerful word there is. Words, actions, song lyrics, poems, and the like try and capture its deep meaning and expression. I am convinced I will spend my lifetime trying to grasp its depth. Love is no light expression. It always runs deep and means something. I am grateful for the different glimpses of love I have experienced worldwide. Every culture has their own unique way of holding loves value. I’d like to think that all of my experiences have made a mixing bowl of loves expression in me. I know I don’t always handle love well. Sin has corrupted love’s intentions and meanings. Love is meant to be known without conditions. Yet, we place criteria and walls around her. In some ways, love even has a standard. Our culture has moved so far into the direction of conditional love that it makes my heart grieve. 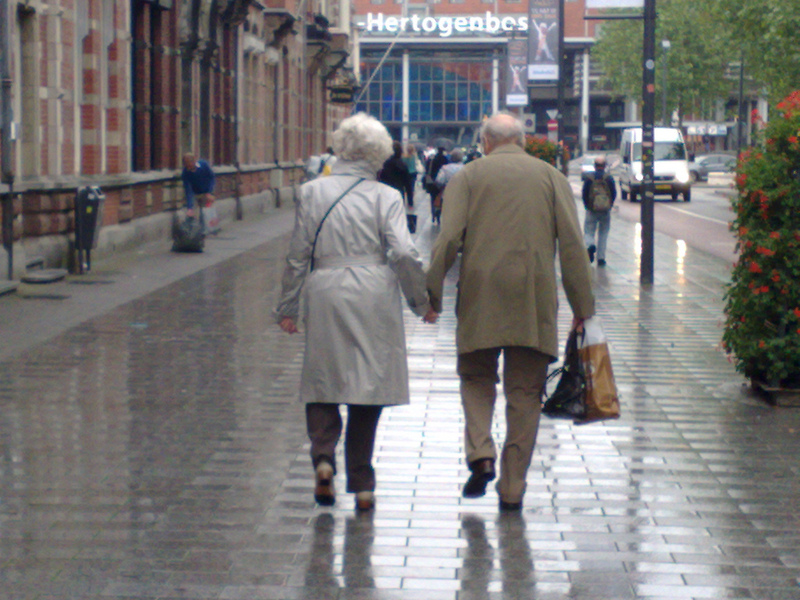 I tear up when I see an elderly couple walking hand-in-hand down the road. This picture always gives me a glimpse of unconditional and lasting love. Love takes commitment and faithfulness. Love takes trust and the grounding of safety that no matter what, the commitment of love and honor are fought for. Honestly, our culture makes me sad. I hate that statisitically half of all marriages will end in divorce. Not only is that not ok, but the reason for some divorces is that one person just stopped fighting for love. We are becoming a society that thinks we are exempt from having to work through the hard of pain. We have lost the value of commitment. When we start saying, “we don’t have to…..’ the unconditional form of love is lost. Love requires work. It is through choosing the hard of that work where love grows deeper. Love fought for on a deep level is called intimacy. I hate that we are losing sight of love. I have experienced conditional love. I know I have also dished it out. I hate that I have. I could call my conditions defenses for fears and doubt, but that is no excuse. Love is meant to be known unconditionally. I will admit to not always fighting for love and choosing to work through the hard and pain. I honestly fear love as much as I crave loving deeply. I also don’t want to communicate that my love comes with stipulations. Makes me cringe. Paul writes in Ephesians, “that you, being rooted and established in love…” I wrestle with these words. My first response to that verse is how many people truly know what this is like? People who know and trust they are loved is becoming a rarity. I wrestle deeply with the truth that He loves me unconditionally and faithfully. Most days I can’t wrap my heart around that truth. I wish I could confidently know that I am rooted and established in love. I want to get back to the place where unconditional love still walks hand-in-hand down the road. I want 50 years of committed marriage to not be a surprise to us. I want to fight for the norm of relationships to be know for their established love. Love has no conditions. It is meant to have roots. How have you experienced unconditional love? How have you experienced conditional love?